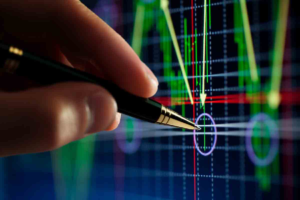 Stochastic indicator is one of the most used technical indicator by Forex traders. The indicator was invented by a developer known as George Lane in the 1950s, making it one of the oldest Forex technical indicators that is still in use to date. It is categorized as a momentum indicator. This means that it helps in determining how strong or weak a trend is. Therefore, is commonly used in conjunction with a trend indicator like the moving average or Ichimoku bands. The indicator is also an oscillator indicator. 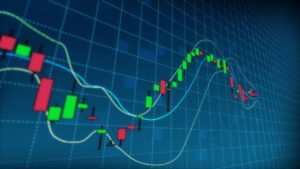 Contrary to most technical indicators which follow the market prices, the stochastic indicator follows the momentum of the price change. By following the momentum of the price change, the indicator normally compares the closing price with a range of several other prices (specifically the Lows and the Highs) of the same security over a period of time. In simple terms the indicator finds the rate at which the market prices are changing by comparing the difference between the closing prices and the lowest price over a give time to the difference between the highest price and the lowest price within the same period of time and then multiplying by a hundred to get a percentage figure. H – This is the highest price the market reached within the certain period of time. The stochastic indicator also has another factor the %D which is generally a form of a moving average of %k within a given period of time. The %K and %D values are plotted as two lines on the graph with the %D being the slower line while the 5Kbeing the faster line. When you load the indicator on to your Metatrader platform, you are first prompted to set the parameters of the stochastic indicator according to your specifications. Here, you can change the period of the %K and %D and also choose the type of moving average technique you would like to use (Simple, Exponential, Smoothened and linear weighted). You can also change the color of the %D and %K lines. The other thing is the two levels used to determine the overbought and oversold regions. By default they are set at 80% and 20% respectively. The region above the 80% level is referred to as the overbought region and the market should be preparing to the change trend from a bullish trend to a bearish trend. When both line (%k and %D) moves to this region, the trader should be prepared to close any buy order in the market and wait for a sell signal to be given by the indicator. The sell signal is given when the slower %D line crosses over the faster %K line. If you look closely, you will notice that once this cross overtakes place, the two lines then start moving down through the 80% towards the 20% level. So as to confirm that the signal is real, the trader should wait for the %D to cross the 80% moving downwards for him/her to place sell order. On the other hand, the region below the 20% level is referred to as the oversold region and the market should be preparing to change the trend from a bearish trend to a bullish trend. When both line (%k and %D) moves to this region, the trader should be prepared to close any sell order in the market and wait for a buy signal to be given by the indicator. The buy signal is given when the faster %K line crosses over the slower %D line. If you look closely, you will notice that once this cross overtakes place, the two lines then start moving upwards through the 20% towards the 80% level. Also, for the trader to confirm that the buy signal is correct, the trader should wait for the %K to cross the 20% level moving up for him/her to place the order. You will realise thatwith this indcator there are no much need to use stop losses. however, if youraccount balance is small, you may consider using the stop levels (Stop loss and take profits levels) so as to manage the risks involvedsincethe market may take too long to get to the overbought or oversold region at times things like news releases may occurin between. One of the most important things to note when using this indicator, is that you should try as much as possible to ensure that the colors of the two lines (%K and %D) are distinct from the backgroung color of your trading chart.